« Less than a week until the Red Wine and Chocolate Tour! If you are feeling ambitious, head for the northwestern most point of the Continental United States: Cape Flattery. From Cape Flattery you can look out over the rocky cliffs and can see the Tatoosh lighthouse on Tatoosh Island. It continues to mark the entrance to the Strait of Juan de Fuca. These desolate, rocky shores can be deadly for unawares seamen. It is a view that infuses you with the power of the mighty Pacific Ocean. The Makah tribe made this corner of the world home for several thousand years. 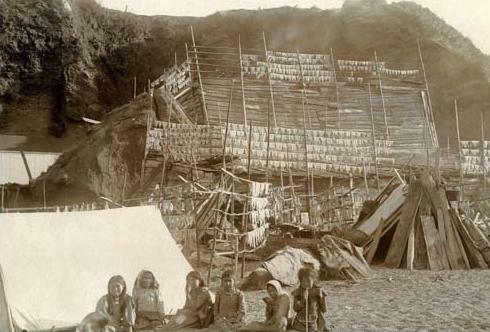 The Makah Cultural Center and Museum is a fascinating glimpse into these hardy people’s history. Many of the artifacts are displayed in ways that tell the story of their approximate 4,000-year-old existence. If you are a seafood lover, than you already know the Olympic Peninsula has unparalleled bounty. One variety in particular, Salmon, is a favorite of mine and also lovely to pair with many Olympic Peninsula white wines, like the Aligote from Fairwinds winery. If you have an interest in the fascinating life cycle of salmon (and you are already up near Neah Bay) visit the Makah National Fish Hatchery. View Chinook salmon as they make their way over fish ladders to the hatchery’s spawning area. Spawning months are October and November, and the salmon are released in late April. Smaller numbers of coho, chum salmon and steelhead trout also populate the hatchery. From Neah Bay, follow signs south for 7 mi. Pick Up Some Washington Wine for Your Seafood Dinner! 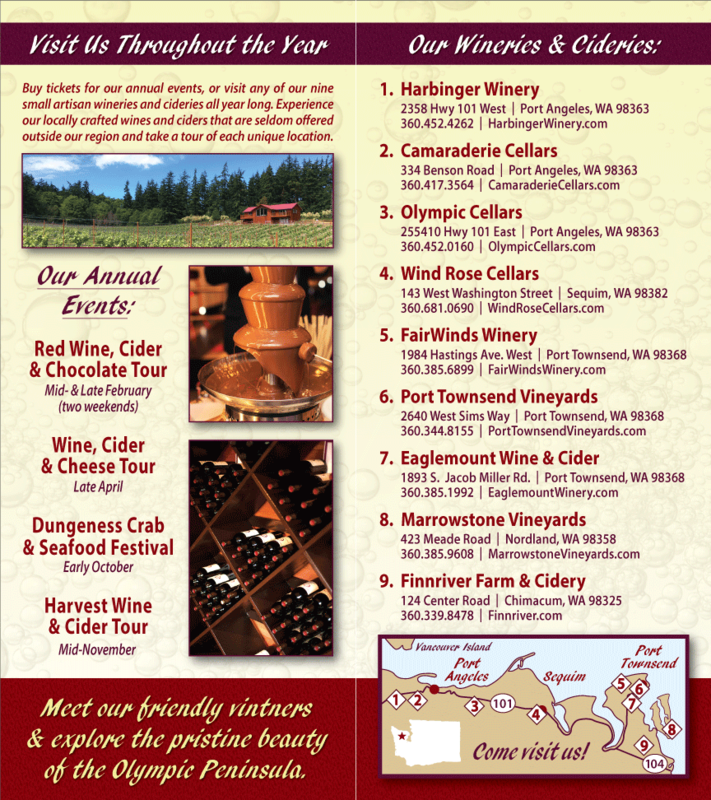 On your way back from Cape Flattery, stop at an Olympic Peninsula winery and pick up a bottle of Washington wine to have with dinner. Camaraderie Cellars in Port Angeles makes wines are known for balance and complexity that complement a wide range of foods. Camaraderie winemakers focus on Bordeaux grape varieties both red and white. Sauvignon Blanc co-fermented with Semillion is blended with barrel-fermented viognier to produce a fresh, fruity white wine to complement area seafood.